In February 2013, a 500+ foot yacht docked on the west side of Manhattan. The boat, named Eclipse, belonged to the Russian oligarch, Roman Abramovich – one of the richest men in the world. And the media went wild speculating why Abramovich had parked his mega-yacht in the US for more than a month. On April 8, with the boat still docked, Abramovich’s girlfriend Dasha Zhukova gave birth to a baby girl at New York Presbyterian hospital. And because Abramovich’s daughter, Leah Lou, was born on US soil, she gained a US citizenship (in addition to a Russian citizenship). Leah didn’t realize it, but her father was giving her a tremendous gift by harboring his yacht in the US. We talk a lot at Sovereign Man about having a Plan B. You can take a few simple steps to, for example, get some money outside your home jurisdiction or get a second residency. That way, if things go south in your home country, you’ll have more options and more freedom. And if nothing happens, you won’t be any worse off. 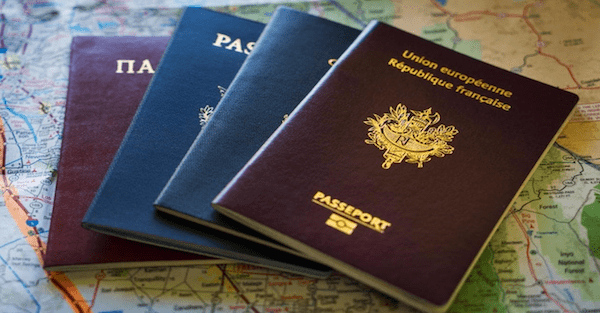 Lots of folks consider a second passport the “holy grail” of a Plan B. Should you need to leave your home country for any reason, a second passport gives you another place where you can live, work, invest and retire. There are a few ways to get a second citizenship. You can naturalize, which requires you to move to a foreign country and live there for several years. You can also get a second citizenship if you have ancestors from countries like Italy or Ireland. Many countries, from St. Kitts to Malta, also sell citizenships for anywhere from a couple hundred grand to a couple million dollars. But today I want to tell you about a much easier solution. Like Roman Abramovich, you can give your future child a second citizenship from the moment of his or her birth. If you have your baby in one of the 30+ Jus Soli countries (states granting automatic citizenship to any child born on their territory), your newborn will automatically acquire two citizenships – one from your home country and one from the country of their birth. And later in life, your child will have more options for where they can live, work, invest and retire. And with a second passport, your child will enjoy visa-free access to more countries around the world, which again means more freedom. All it takes to give that invaluable gift is approximately three months spent on the ground and a few thousand dollars spent on travel and a private clinic. Almost all Jus Soli countries are located in North and South America and traditionally, the US has been the go-to destination to have your baby. But what most of those parents don’t realize is that they also sign their children up for world-wide taxation by Uncle Sam, even if their child never sets foot on American soil again after they leave… Generally, every US citizen has to start paying taxes to Uncle Sam by the age of 18. Instead, I’d consider having a baby in Chile. According to our recent study, Chile boasts the best travel document among all Jus Soli countries, hands down. In fact, it is the 6th best travel document in the world, way ahead of the USA (26th place) and Canada (25th). Also, Chile is very peaceful. The last time Chile had a war was almost 130 years ago. And your child does not risk military conscription as a Chilean citizen. Having a baby there can also be beneficial for you if you decide to move to Chile yourself – parents of a Chilean citizen can legally reside in the country, no conditions attached. But that’s not all. Chilean citizenship comes with two additional benefits. First, any Chilean citizen can easily move to and live, work, study… in any other country in South America because of the Mercosur. Mercosur is a free-trade union of countries, which includes Argentina, Brazil, Paraguay and Uruguay, and associate members of Chile, Peru, Ecuador, Colombia, Guyana and Suriname. And second, a national of any Spanish-American country (plus Brazil) also can obtain a citizenship in Spain after just two years of residency there, instead of the usual ten. And they won’t have to give up their original citizenship – something that Spain requires from other candidates naturalizing there. And if your child does not live in Chile, he/she will not owe a dime to the Chilean government in taxes. That’s a tremendous amount of benefit for not a lot of effort. You are usually in full control of where your children are born. If you strategically select the birthplace of your children, dedicate a couple of months of your time to it and a few thousand dollars, you will set them up for a lifetime of benefits. While we think Chile is the best option, there are plenty of other countries where you can have a child and that child will automatically gain a second citizenship – Canada and Brazil are two others, for example. If you’d like to learn more about the different ways you can obtain second citizenships for you and your family, here’s a great, free resource to get started.